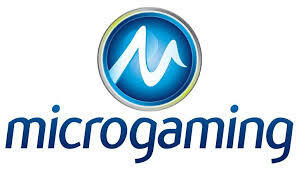 Microgaming’s Health and Care Trust Responds - Read more here! Setting aside all the excitement from the London ICE event, it’s time to address some more serious news in the headlines. With that said, Microgaming (MG) demonstrated this week that they could have fun and at the same time take care of other serious matters. With that in mind, MG Health and Care Trust will now fund staff training to boost victim support in cases of sexual violence. Which, also delivers confidential, free help to victims, witnesses, family members and friends. So without a doubt, this is another industry game changer led by MG. The #metoo campaign served as a vessel to highlights sexual abuse in work environment. And it’s an issue that MG takes seriously being one of the biggest employers on the Isle of Man. In other words, MG is helping the Isle of Man’s Victim Support charity to get a proper support system in place to help people in need. Within the last two years, the group has seen more than 140 sexual abuse cases. Sadly, they’ve also revealed that there’s been an increase in referrals. So, it’s definitely time to address these matters once and for all. With that said, the Trust’s donation will fund the company’s GM, Paula Gelling. This will enable her to become a certified Independent Sexual Violence Advisor. In response, MG HandC Trustee Paul Novellie had this to say, “We had no hesitation in offering our support for this cause. After all, it plays a crucial role in our local community. It’s an honour to strengthen the Isle of Man’s Victim Support charity through our support. We also believe Paula will be a great attribute, and we salute her for her courage to stand up and take action”.